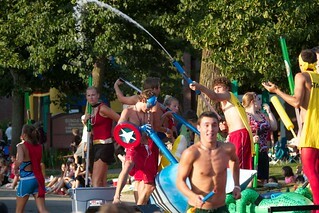 River Falls Days 2011 Parade on Friday. Was very hot, something over 90F and barely any breeze, and i think i got heat stroke or something, felt sick for a while after. Didn't last until the end either which is why there are so few pictures.